The end of March is a magical time for kids. The snow is melting and that wonderful week known as Spring Break arrives. While some families get out of dodge, many opt to stay local and have a Staycation. 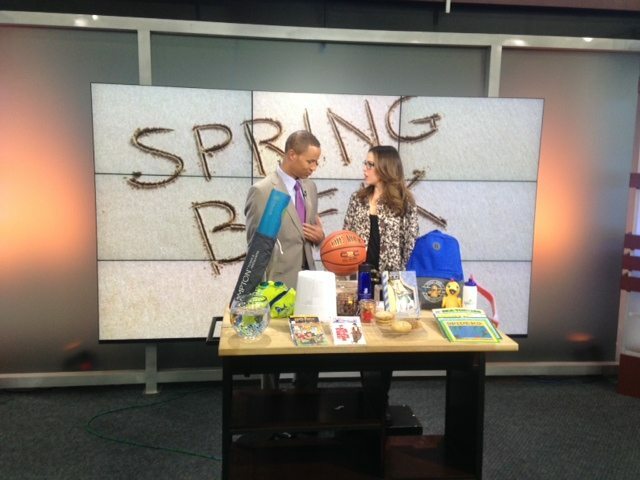 I stopped by Good Day Chicago this morning to chat with Jon Kelley about hotels with family fabulous Spring Break programs right here Sweet Home Chicago. ACTIVITIES: FREE tickets to the Chicago Children’s Museum and access to the family amenity program. ACTIVITIES: Four tickets (two adults and two children) to Chicago Children’s Museum with a special amenity, in-room movie, and a scavenger hunt activity book. FOOD: In-room amenity like milk and cookies for kids, adult milkshakes for grown-ups. From March 27 to April 12, families can enjoy additional activities, on a complimentary basis. WELCOME GIFT: Greeted with a red wagon of toys. Children can pick a toy.